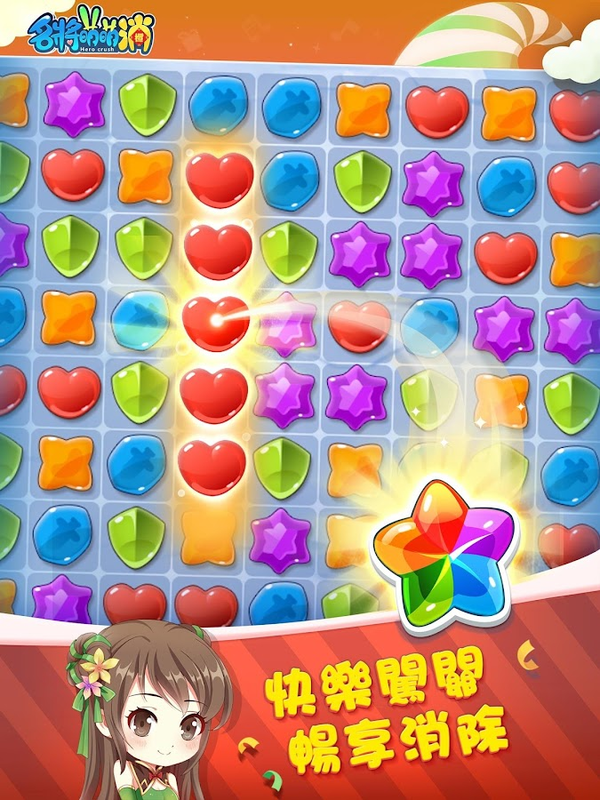 Get hyped for the biggest update in the history of Jellipop Match ,a colorful game where you match your troubles away! Everything youneed to tide you through a monotonous day, Jellipop Match’s got it.Adorable sugary-sweet graphics, exhilaratingly smooth controls,fascinating levels, an evil witch to defeat, and more. You’ll findyourself rebuilding heaps of cute shops of your dreams: patisserie,candy store, flower shop, bookstore, cafe, fast food restaurant,toy store, bakery, chocolatier... lots of sweet, sweet businesseswhich you can design to your heart’s content! 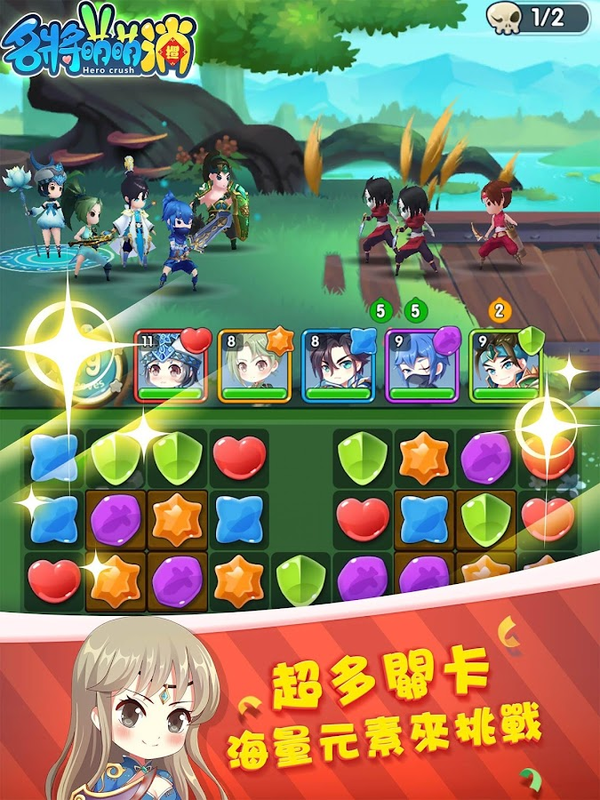 This lovingly craftedgame is sure to bring you endless entertainment as you renovatebuildings and enjoy the charming match-three world. Jelly Town is apicturesque village full of cookie houses and candy shops. Bingo,everyone’s best friend, lives in Jelly Town’s very own bustlingmall—but after an evil witch casted a spell, the mall is now inruins. As an inhabitant of Jelly Town and the manager of the mall,players must aid Bingo to defeat the evil witch and bring the mallback to its former glory! 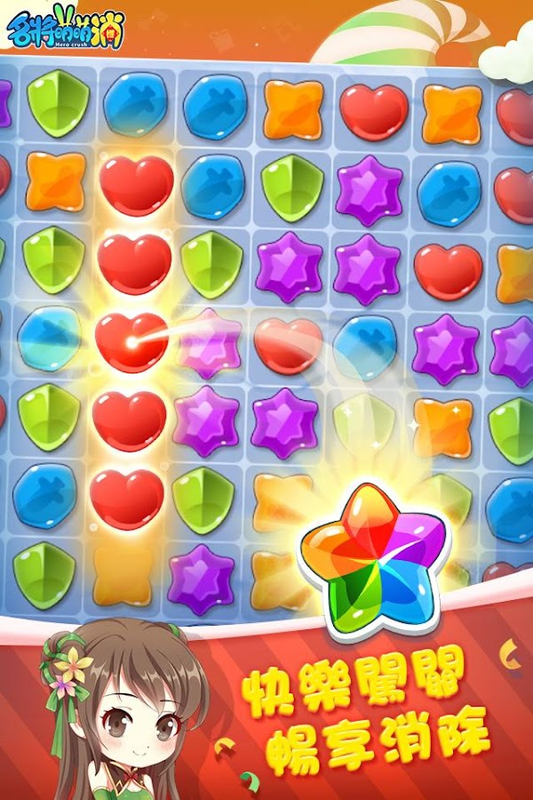 - Addictive gameplay with tons ofinnovative features The magical sweets in Jelly Town are allpitching in to help take out the evil witch. Join forces with chewyelephants hidden under crystal jellies, explosive cat-pawmarshmallows, and magical vortexes capable of conjuring even moremagical jellies. With their aid, you’ll defeat the terrible witchfor sure! 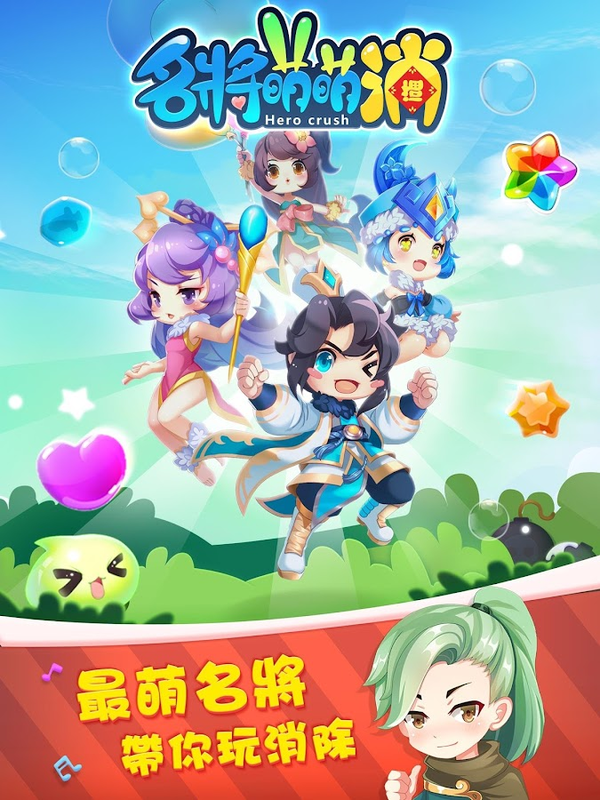 - Meet tons of new friends Players will always have Bingoat their side throughout the entire journey, but the more themerrier, right? Meet cute twin-tailed Alicia, sharp-tongued Bella,and adorably muddled Becky. What hilarious stories will theselively characters bring? Find out while you rebuild the mall! -Diverse and exciting environments Explore the meticulouslyhand-drawn mall and spot remnants of the previously prosperousJelly Town. You’ll even get to design stores and select furnitureas you rebuild the ruined mall! Each piece of furniture comes withat least 3 styles to choose from, ensuring that your creations willnever look anything like your friends’! - Fun events galore Besidesdefeating the witch in mind-boggling levels, players mayparticipate in lots of cool events. Venture into the toy castlewith a day & night mode, try your luck at the claw machine, andeven explore the creepy Halloween cemetery. Tons of other eventsawait. 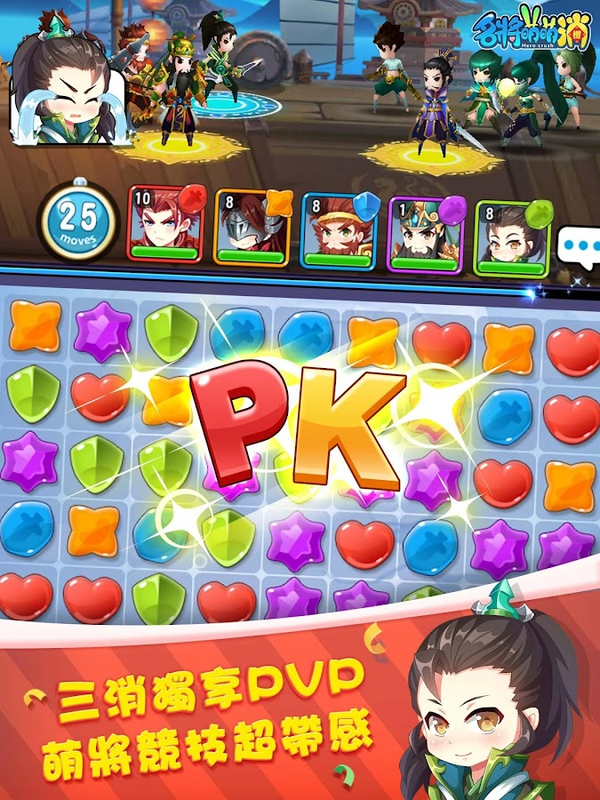 Join and you’ll receive outrageous abilities that’ll besuper helpful for clearing main storyline levels! - Carefullydesigned levels The game boasts over 1,500 carefully designed andnon-repetitive levels, where you may collect a variety of deliciousdesserts and defeat the evil witch. You can also try out theday/night and green elves modes and immerse yourself in hours uponhours of jelly-matching fun! This game is rated G and completelyfamily-friendly. 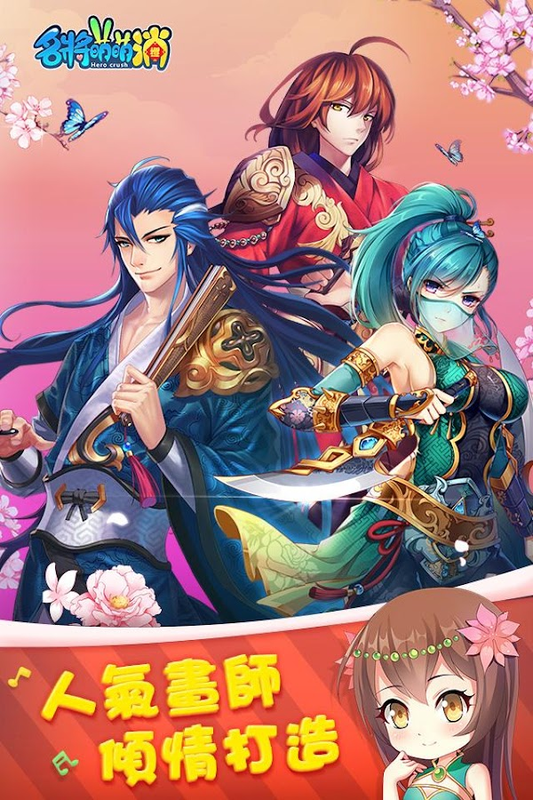 As addictive as the game can get, please do notforget that your health is more important! 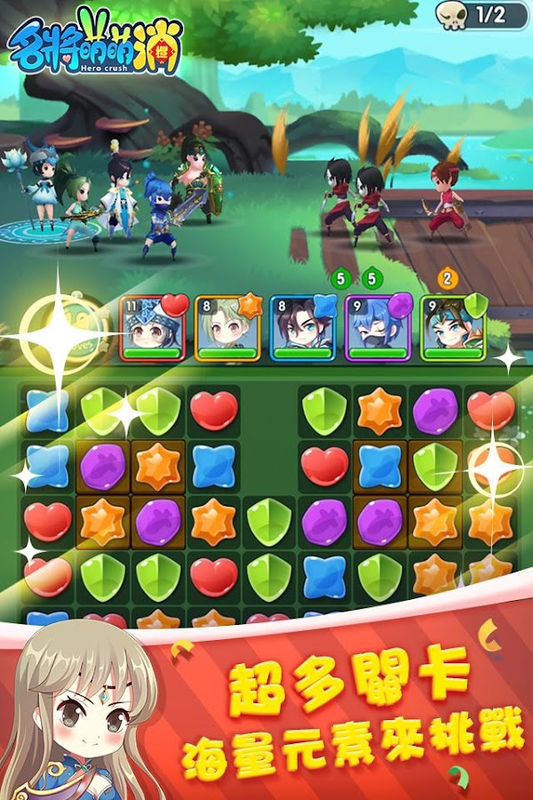 Already a fan ofJellipop Match? 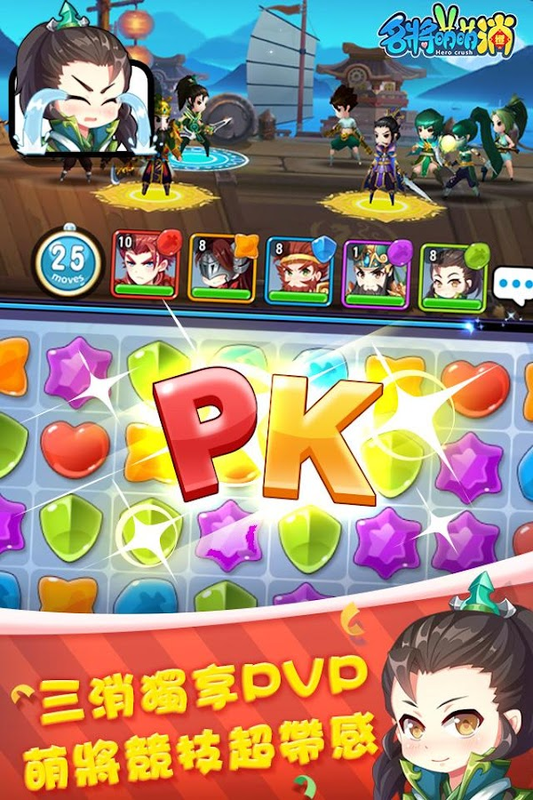 Like us on Facebook for the latest news!https://www.facebook.com/JellipopMatch/ Contact us directly [email protected] Most importantly, a big THANK YOUto everyone who has played Jellipop Match! Enjoy the classical Mahjong game with great graphics and nicemusic.A single player solitaire mahjong game, also known asShanghai Mahjongg, Taipei Mah-Jong, Kyodai, Mahjong Trails, Mahjong Titans, Dimensions, or Connect.Include 10 deluxe packages& 6 awesome music, enjoyit.---------------------------FEATURES----------------------------Amazing graphics and music.- Hint, Shuffle and Super match.- Custommahjong tiles and music.- Continue solve boards to unlock newpackages and new boards.- No internet connection required.-Optimized for all device.---------------------------HOW TOPLAY---------------------------- Tap the same pair mahjong tocollect.- Quick collection gains combo bonus. 揉合嶄新陣法系統和策略為氣勢磅礡的三國史實背景注入神秘的魔幻元素，逾百名造型各異的人氣武將及魔獸頭目，加上細緻日式畫風及戰鬥特效。在GooglePlay Store 免費下載！遊戲特色- 九宮陣法：點連相同武器（短劍、蛇矛、弓弩或羽扇）發動攻勢，連結武器越多攻擊力越強！- 80+三國經典武將，各有不同主將技能及主動技能，必要時候發能動能助你逆轉乾坤！- 武將可三段進化，配備更強戰鬥裝備，領悟更多必殺陣法！- 逾140種不同造型魔獸，28位實力強大夢魘頭目，還有青龍、朱雀、白虎、玄武四大屬性，各有特殊攻擊技能- 劇情分為16個歷史章節48場戰役，等著你來挑戰！完成戰役獲得豐富獎勵，殲滅頭目還有機會獲得新武將！- 32種合成材料，強化和進化武將必備- 廣邀好友加入戰鬥，好友更會在任務中現身支援- 每星期開放五天限時任務，更可贏得稀有材料！- 超炫目戰鬥技能發動效果，日式細膩畫風完美融合三國波瀾壯闊的戰場背景- 穿越中國史詩巨著，匯合創新豐富的魔幻元素！Matrix method combinesinnovative systems and policies for the magnificent backdrop of theThree Kingdoms historical facts injected into the mysteriousmagical elements, over a hundred different styles of populargenerals and leaders of Warcraft, with delicate Japanese style andbattle effects. 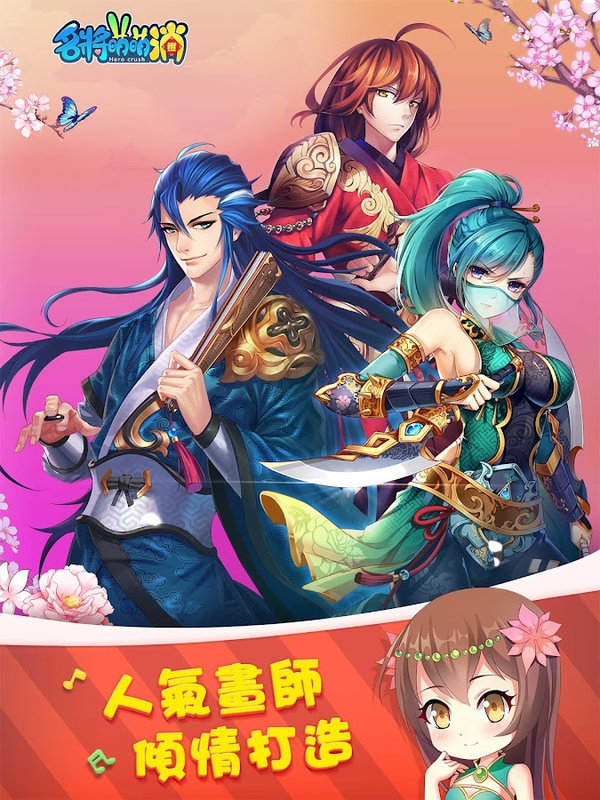 Download the Google Play Store for free!Game Features- JiuGongTu matrix method: point even the same weapons (dagger, YiMao, crossbow or lupine) offensive, the more links, the strongerweapon attack!- 80 + classic three generals, each with different skills andactive skills Lord, when necessary, can help you reverse the hairdynamic universe!- Generals can evolve three sections, with more combat equipment,tactical deployment kill comprehend more!- Over 140 different shapes of Warcraft, 28 powerful chieftainsnightmare, and Dragon, Red Phoenix, White Tiger, basaltic fourproperties, each with a special attack skills- The history of the story is divided into 16 chapters 48 battle,waiting for you to challenge! 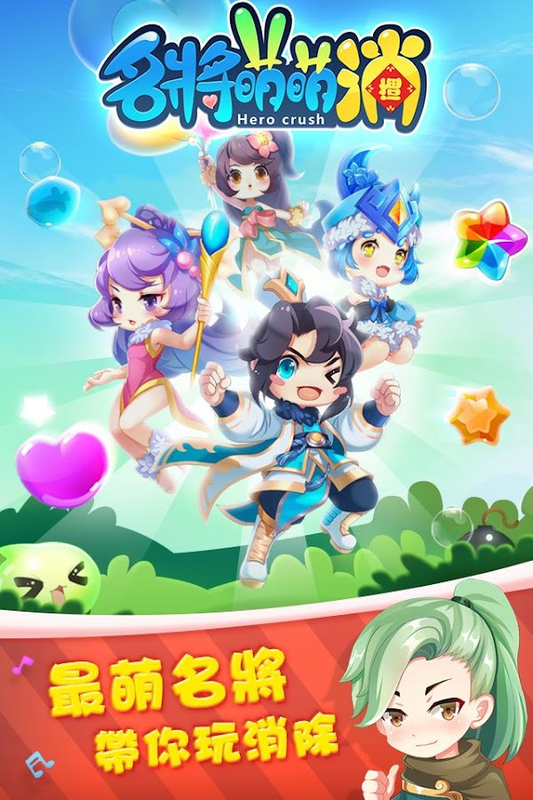 Completion of the campaign to getrich rewards, as well as access to new leaders annihilationgenerals!- 32 kinds of synthetic materials, essential to strengthen andevolve generals- Invite a friend to join the battle, but will show up to supportfriends in the task- Open five days per week limited task, it can win rarematerials!- Ultra dazzling fighting skills to launch effect, the perfectfusion of style Japanese delicate three magnificent battlefieldbackground- Crossing the Chinese epic masterpiece, the confluence ofinnovative rich magical elements!